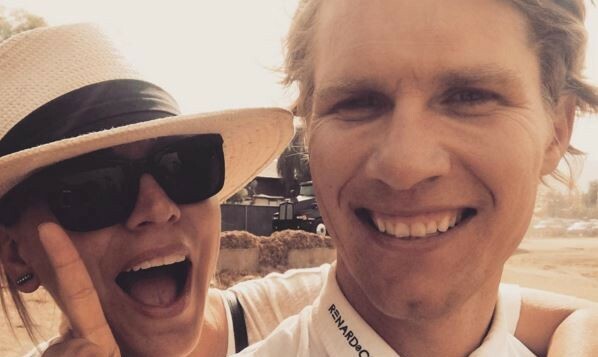 In celebrity news, Big Bang star Kaley Cuoco finally married her boyfriend Karl Cook. According to EOnline.com, the celebrity couple tied the knot, and Cuoco couldn’t be any happier. The celebrity relationship started a year after Cuoco’s celebrity divorce from husband Ryan Sweeting. This celebrity wedding is Kaley Cuoco’s second time down the aisle. If your first marriage didn’t work out, what are some reasons to give it another shot? 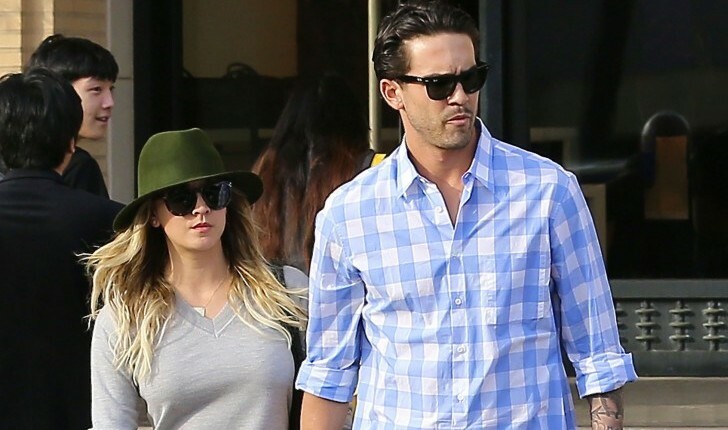 According to People.com, Kaley Cuoco is thinking back to what went wrong in her relationship with Ryan Sweeting. She reveals that due to the drastic personality changes that she noticed in Sweeting as their relationship went on, she was a little reluctant to embark upon another celebrity wedding. “The person I ended up with was not the person I originally met. And that wasn’t my fault — that was his,” she said. Luckily, she was able to get past this lack of trust for a new partner and is now engaged to Karl Cook. Cuoco says this is now her “perfect match.” Best of luck to this celebrity couple! This celebrity news isn’t exactly shocking, as Kaley and her first husband are no longer together. What are some ways to know the person you’re with is not for you? …Craving more details? Click here! 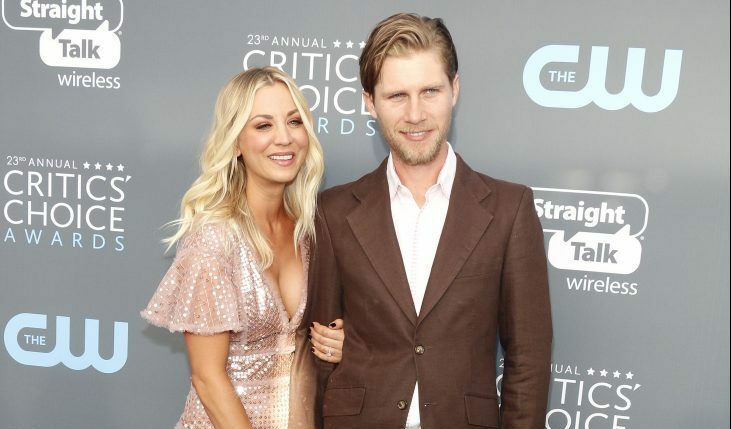 In celebrity news, we hear wedding bells for celebrity couple Kaley Cuoco and Karl Cook — but not just yet. According to UsMagazine.com, Cuoco wants to focus on finishing season 11 of The Big Bang Theory before planning her celebrity wedding. “I’m very excited,” the actress said Wednesday at the CBS sitcom’s 2018 PaleyFest panel at the Paley Center for Media in Los Angeles. “Once this wraps, I’m gonna be a total, typical bride and start planning right away.” How exciting! She also stated that she wants a simple wedding, so no bridezilla here. In celebrity wedding news, Kaley Cuoco says she isn’t a bridezilla. What are some ways to avoid getting stressed out during wedding planning? Kaley Cuoco just had her best birthday ever! The Big Bang Theory star celebrated her 32nd year with friends and a wedding proposal, reports EOnline.com. Cuoco’s now-fiancé, Karl Cook posted an adorably emotional video of Cuoco’s reaction after he popped the question. In the post on Instagram, Cuoco appears completely caught off guard, almost speechless with tears! “We’re engaged” she proudly announces, while showing off her beautiful ring. The celebrity couple has been together for nearly two years, following Cuoco’s divorce from Ryan Sweeting. Congratulations to Cuoco and Cook! We can’t wait for the wedding! There’s a celebrity wedding in the works for Kaley Cuoco. What are some ways to personalize your marriage proposal? …Read on, click here for more! Kaley Cuoco and Ryan Sweeting have added another celebrity divorce to the books, but that doesn’t mean they’re both still single. According to UsMagazine.com, Cuoco joked about her celebrity relationship on the Late Show with Stephen Colbert. She said, “I just thought I would take this time, since everyone is so concerned with who I’m dating, to say that is who I’m dating.” Cuodo continued, saying, “The banana man. We’re in a very serious relationship. Yes.” Although the manana (as Colbert called him) was a joke, in all seriousness, Cuoco has started seeing somebody new. In celebrity news, Cuoco and billionaire heir Karl Cook are a new celebrity couple. This celebrity news proves that divorce is a huge challenge to overcome. What are some ways to know you’re ready to get back into the dating scene after a break-up or divorce? Celebrity Couple News: Is Kaley Cuoco Dating Karl Cook? Latest celebrity news has us all wondering if Kaley Cuoco has moved on from her celebrity divorce that ended in September. UsMagazine.com shared that the two have been spending quite a bit of time together. From shooting ranges to equestrian competitions to tennis matches (BNP Paribas Open), it is possible that a new celebrity relationship is in the works. This celebrity couple news comes post-divorce for Kaley. What are some ways to know you’re ready to date again after a divorce? …Newly divorced and considering dating? Read on. In latest celebrity news, there’s a new celebrity couple walking through Hollywood. According to UsMagazine.com, Kaley Cuoco was spotted at a Golden Globes after party with longtime friend Paul Blackthorne. The two are now currently dating. This has been the first man she has been spotted dating since her celebrity divorce from Ryan Sweeting. Cuoco is very happy with her new celebrity love. Celebrity couple Kaley & Paul were longtime friends before they got together. What are the benefits of being friends first? Kaley Cuoco’s celebrity divorce has given her a difficult year, as reported by UsMagazine.com. The celebrity news was revealed when Cuoco hosted Stand Up for Pits 2015, a charity for pitbulls. Cuoco shared that she has two pitbulls at home that helped her during her difficult time going through her split as a celebrity couple with Ryan Sweeting. Dogs truly are a man’s, or in this case, a woman’s best friend. Celebrity divorce is never fun. What are some ways to move on romantically after a difficult time in your life? How can gossip like Kaley Cuoco’s celebrity divorce rumors help to strengthen your relationship? The Wedding Ringer is a must-see rom-com. It’s time for another chick flick! In The Wedding Ringer, Doug Harris is getting married. But, there’s a problem; he has no best man. Doug seeks the help of Jimmy Callahan, owner and CEO of Best Man Inc., a company that provides best men for socially awkward guys. While Jimmy prepares for Doug’s big day, a bromance between the two begins. Lovebirds Kaley Cuoco and Ryan Sweeting continue to show off their love and commitment toward one another. The couple have had a whirl wind romance ever since they first met. Starting with them quickly dating and then soon after becoming engaged and even sooner married. According to UsMagazine.com Cuoco, 28, recently showed off her new tattoo of her wedding date in between her shoulder blades in three rows of large Roman numerals, including the numbers that read, 12-31-13, at a charity tennis event in Calabasas, California on Saturday, March 22. The numbers tattooed on her back are the date of when the lovers said their vows to one another on New Year’s Eve last year in Southern California, just four months after getting engaged. What are some ways to publicly show you love your partner? Ryan Sweeting and Kaley Cuoco-Sweeting. Photo courtesy of Kaley Cuoco's Instagram. 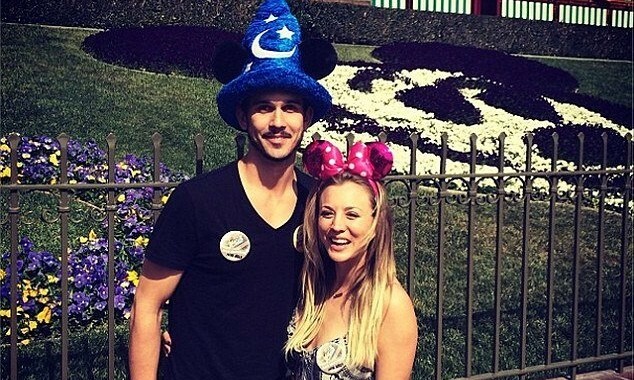 According to People, Kaley Cuoco and husband Ryan Sweeting took a mini-honeymoon to Disneyland. Sweeting wore a first pin and a Fantasia hat. Cuoco sported pink Minnie Mouse ears. The Big Bang Theory actress documented most of the day via Instagram. “Mini honeymoon at the happiest place on earth! @ryansweething #myhusbandisadisneyvirgin,” she wrote, along with a picture of the couple at the park. Where are some quick honeymoon destinations? Kaley Cuco’s relationship with Ryan Sweetings bloomed fast and has received skepticism from some, but not from her Big Bang Theory co-star. Co-star Kunal Nayyar, 32, only has positive things to say about their relationship. Nayyar tells People at the 2014 Golden Globes that he thinks they’re great for each other and expresses only his full support. He went on to explain how they are ‘family’. The newly wed couple married on New Year’s Eve. What do you do if your friends are not supportive of your relationship? 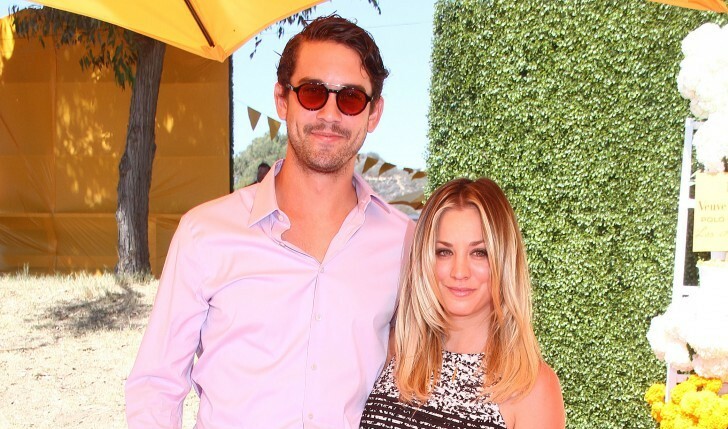 It was a night from a fairy tale when Kaley Cuoco and Ryan Sweeting tied the knot this Tuesday. Their New Year’s Eve wedding was fire-and-ice themed and took place at Hummingbird Nest Ranch in Santa Susana, California, confirms People. The Big Bang Theory hottie Instagrammed a photo of her and her new hubby engulfed in her pink Vera Wang wedding gown, with the caption, “Greatest night of my entire life.” She also shared a picture of their first dance, captioning it, “Last night I married my sweetheart 🙂 life couldn’t be sweeter.” As the pictures reveal, it was a perfect start to the New Year for these lovebirds. What are some ways to make your wedding extra special? According to UsMagazine.com, Kaley Cuoco celebrated her future walk down the aisle with a bridal shower Saturday, Nov. 23. Some of the guests included Ali Fedotowsky, Lacey Chabert and Melissa Rauch. The bride-to-be wore a floral-printed dress with a collared neckline and blue heels. Cuoco and fiancé Ryan Sweeting got engaged just three months after dating. How do you decide who to invite to your bridal shower? A few days after UsMagazine.com broke the news of Kaley Cuoco’s engagement, the Big Bang Theory actress admitted that the proposal even shocked her. “He surprised me at the end of the night… [when] he popped the ring out. It was amazing,” she told Entertainment Tonight. Cuoco and boyfriend, Ryan Sweeting have been dating for three months. Kaley Cuoco was spotted with tennis player Ryan Sweeting on Aug. 2 and Aug 3, UsMagazine.com confirms. The pair were photographed grabbing lunch together Aug. 3 at Marmalade Café in Sherman Oaks, Calif. Sweeting, 26, joined Cuoco, 27 at a horse ranch in Moorpark,Calif., to watch her show off her equestrian skills. What are the perks of being in a new relationship? Big Bang Theory star, Kaley Cuoco, may officially be moving on from ex-fiancé, Josh Resnik. According to People, the actress was seen on St. Patrick’s Day celebrating her Zooey magazine cover with a mystery man at Bardot nightclub in Hollywood. The two were spotted in the VIP section kissing and dancing. They even broke out into an impromptu photo shoot. “Kaley seemed like she was truly having a good time and was completely being herself,” said an onlooker. What are some dates that allow you to ease into a relationship? …Craving the rest? Click here. Get set for a Big Bang wedding! Kaley Cuoco, who stars on the award winning sitcom The Big Bang Theory, is getting married. The actress, 25, is engaged to addiction specialist, Josh ‘Lazie’ Resnik, her rep told People. “The surprise proposal took place during a quiet date night at home,” the rep said. “The couple are very excited to begin planning their wedding.” Cuoco and Resnik have yet to set a date for their wedding. What are some ways to make an at-home proposal special?